Just like a vanity license plate, this ASX code abbreviates Collaborate Corporation’s new business identity perfectly. Formerly known as Qanda Technology (ASX:QNA), CL8 changed its name but kept its focus – collaborative consumption – and this company is starting to catch on. The only answer CL8 had was that companies developing peer-to-peer marketplaces are hot right now and its name change has more closely aligned it with this rapidly growing new tech economy. Forbes recently ranked the top 15 startups with the fastest growing valuations over time between funding rounds in 2014. Five out of those 15 were in the collaborative consumption space... just like CL8. Keep reading to find out who these companies are and just how much cash is being thrown at them by investors. CL8 was able to raise $1.26M in January from investors through a heavily-oversubscribed share placement and is now using the money to expand its three collaborative consumption businesses, DriveMyCar Rentals, Caramavan and Rentoid. And above all of this, it’s evolving the proprietary trust and reputation platform it’s built that makes its peer-to peer business possible and is planning to launch into new product categories. 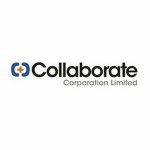 Collaborate Corporation Limited (ASX:CL8) has been on The Next Tech Stock’s investment radar since we first covered it back in September 2014 article ASX Listed Tech Company Set to Capture Global Mega Trend. Formerly known as Qanda Technology (ASX:QNA), CL8 has changed its name but kept its focus – collaborative consumption. CL8 operate collaborative consumption marketplaces – the peer-to-peer selling and renting of goods and services, unlocking value in everyday items. CL8 take a slice of every value-added transaction brokered through their marketplace. This new tech driven economy is bringing big valuations to companies that can dominate a market – like the $40BN personal taxi service Uber and the $10BN house and spare room rental service AirBnB. Arch rival to Uber, Lyft raised $250M in 2014 and grew $710M since its previous funding round to expand internationally. Relay Rides, also in the ride sharing space, grew to a valuation of $65M in 2014. Lending Club is a peer to peer financial lending company – raised $870M for its IPO in December – with a valuation ballooning out to $3BN. The above companies are 5 of the top 15 companies that investors are betting the biggest bucks on. As private or US listed companies they are not listed on the ASX – but CL8 is. 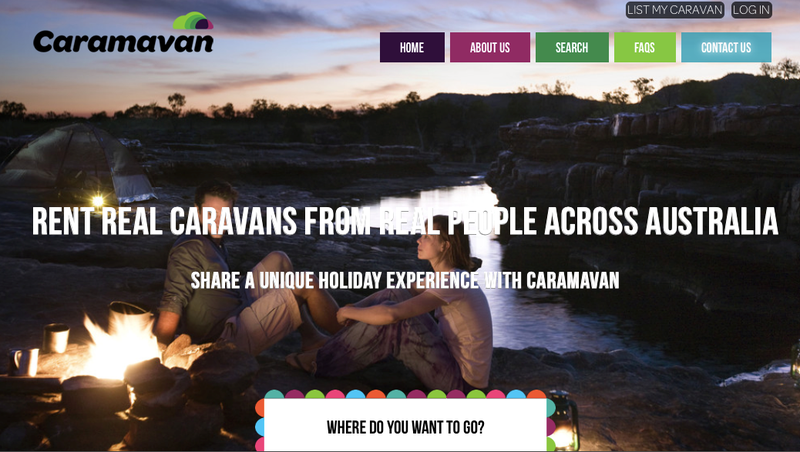 Caramavan ( www.caramavan.com ) – A website that allows people with a caravan or camper trailer to rent it out to people who want to use one. CL8 acquired this growing business in 2014 and is working on ways to expand its user base. Rentoid ( www.Rentoid.com ) – A website where you can rent anything, from an air compressor to a stuffed zebra. CL8 is developing and accelerating these businesses through a wide ranging strategy that will see each website overhauled and optimized. Behind it will sit CL8’s overarching reputation verifying P2P platform – connecting users to each other and taking a slice of every transaction. The Next Tech Stock has covered the company’s progress across several articles prior to the change to CL8 – $760M Car Leasing Company Teams with Tiny QNA and $2BN Credit Check Company to Collaborate with QNA , published in October and November of 2014, respectively. Now the dates here are important – all of this happened before the Christmas and New Year holidays, right before investors had time to digest the news. 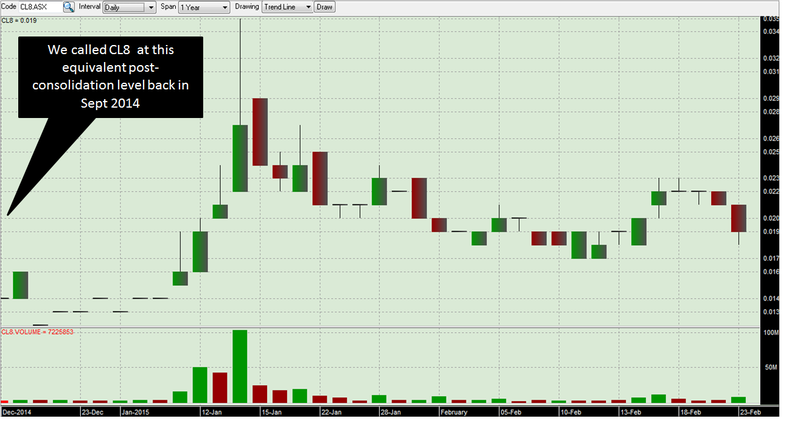 CL8 shares went from 1.2c post consolidation to a high of 3.5c in January. High volumes were traded; making CL8 the No. 1 most traded stock on the ASX for three days in January. CL8 options were the most traded options on the ASX for a number of days. More CL8 stock was traded in January 2015 than the whole of 2014! CL8 was such a hit that the ASX issued two speeding tickets to the company on the 9 th and 15 th of January asking what happened. CL8’s response was that it had announced everything of relevance to the market, and that peer-to-peer businesses are enjoying lots of publicity and support from investors. CL8’s goal in 2015 is the expansion of its three main collaborative consumption businesses and to expand into other categories where it can disrupt traditional markets and deliver enhanced value. In a strong show of investor support after the name change and consolidation, CL8 raised $1.26M through a placement to high net worth and institutional investors that closed heavily oversubscribed via Joint Lead Managers DJ Carmichael and Foster Stockbroking. This cash will be used to fully fund its expansion plans for DriveMyCar Rentals and support its other businesses. And in a show of in-house support, CL8 Non-Executive Director Domenic Carosa is subscribing for $50,000 of shares in the second tranche – some serious skin in the game from that Director. It’s also worth noting that the CL8’s operating cash flow for the December quarter improved compared to the September quarter – $642,000 compared to an outflow of $877,000 after adjusting for an R&D tax credit. Plus, CL8 repaid $150,000 of borrowings during the December quarter. In 2014, CL8’s DriveMyCar Rentals had a small problem – it didn’t have enough cars to rent. Demand was outstripping supply for its service. So CL8 made a bold move and struck a strategic agreement with one of Australia’s largest fleet car company’s – the $930M McMillan Shakespeare Group (ASX:MMS). Under the agreement, that company’s Interleasing division would supply late model fleet cars to CL8’s DriveMyCar Rentals, instantly providing more cars to the rental pool and extending the money making life of the fleet vehicle – a win- win for both companies. So within the coming months, CL8’s DriveMyCar Rentals is rolling out a much larger pool of fleet cars to offer its customers in the major east coast cities of Australia, paving the way for a nationwide expansion. Roll on CL8! 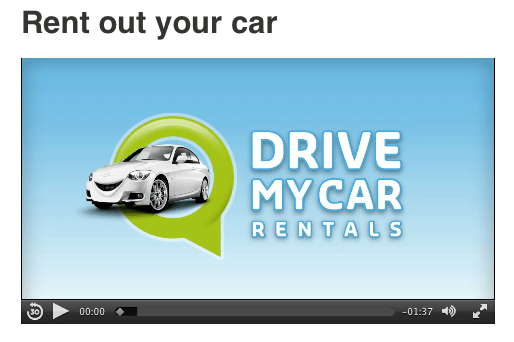 Plus, CL8 is getting ready to re-launch a totally overhauled and revamped DriveMyCar Rentals website. CL8 says the new look site will communicate the DriveMyCar Rentals proposition to owners and renters more effectively and result in better conversions, increased fleet size and more rentals. A full size marketing and PR campaign, using money from the $1.26M cash injection, will be enacted to support the new website; we’ll be looking out for details. Caramavan pulling its weight – and then some! CL8 acquired Caramavan in September of 2014 as a newly-established collaborative consumption business that it plans to take to the next level. And it’s working – CL8 says the size of the fleet of caravans and trailers available for peer to peer renting is increasing as more and more people sign up to the service. Just like with DriveMyCar, it’s crucial to Caramavan’s success to have a large pool of products on offer. Now the last time we looked, McMillan Shakespeare Group don’t offer a corporate caravan service CL8 can dip into! The Scout programme offers a cash bounty to selected people who sign up friends and family to register their caravans to rent out, or log in to be a customer. Either way, CL8’s Caramavan is looking for more people to get involved. And Caramavan is getting lots of traction with CL8’s backing – gathering over 4,000 likes on Facebook so far, and CL8 says that’s rising at a rate of 1,000 per month! CL8 is off to a flying start in 2015 – cashed up for growth after a $1.26M capital raise and with clear plans to expand its collaborative consumption businesses, starting with DriveMyCar Rentals. 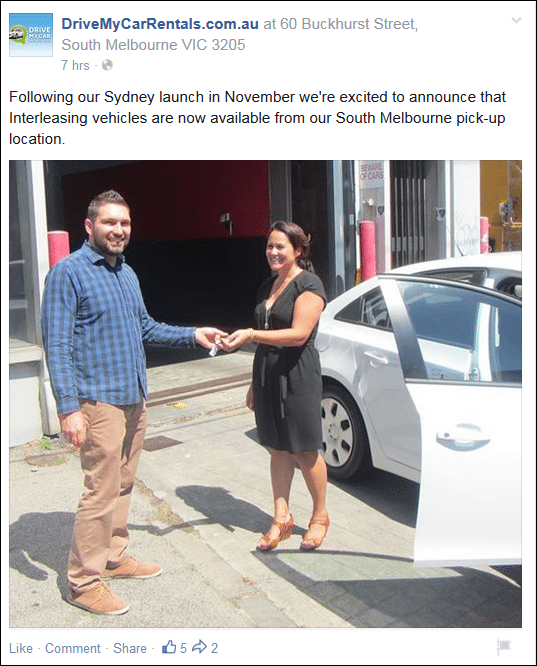 Now that the fleet of cars from Interleasing has been injected into the DriveMyCarRental’s database in Brisbane, Sydney and Melbourne, the rest of Australia could follow soon. We’ll also be watching out for the new look DriveMyCar Rentals website – coming hot on the heels of the new look Caramavan website which is gathering significant support and new customers on social media. And as the dollars from investors pile into collaborative consumption companies around the globe, at The Next Tech Stock we’re impressed with CL8’s progress and can’t wait to see what it does next. Why did Uber Choose to Partner with this ASX Micro Cap?